Mercedes E-Class E220d AMG Line Premium Plus 2dr 9G-Tronic 2019 Review | What Car? What Car? will save you at least £4,568, but our approved dealers could save you even more. 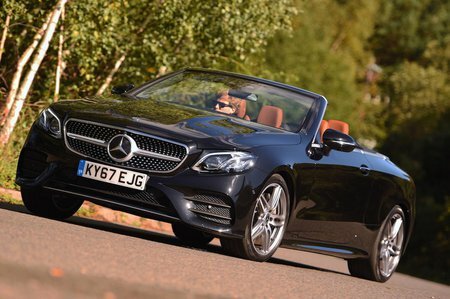 Despite only having 191bhp, the entry-level diesel has enough shove to move the Cabriolet along. What’s more, it’s quieter and smoother than you’d think, while also being efficient and cheap to tax.